We are proud to be a founding member of the IP Legal Network. 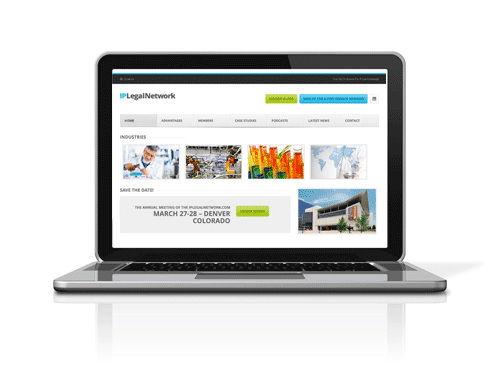 The IP Legal Network is an organization comprised of firms with diverse expertise in strategically located cities across the country. The network allows you to work with the firm you know and trust while delivering the added benefit of national coverage in a wide array of specializations. The IP Legal Network represents the collaboration of top patent firms and professionals, geographically co-located with the US Patent offices to best serve the needs of clients in obtaining and protecting their intellectual property rights. Founded by Bejin Bieneman, PLC, along with Westerman Hattori Daniels & Adrian, LLP, the IP Legal Network provides clients with access to and support from top tier intellectual property and patent experts on par with any AmLaw 100 firm, but with the personal attention and care of a traditional patent boutique. The IP Legal Network’s member offices are located strategically throughout the country, often geographically co-located with the US Patent offices, to best serve the needs of clients in obtaining and protecting their intellectual property rights.